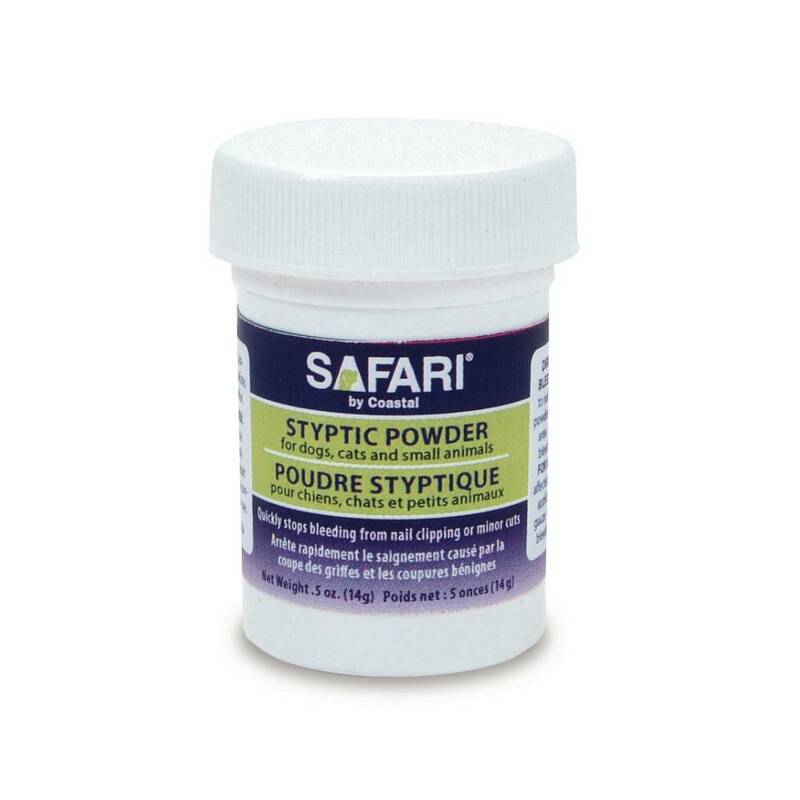 Our Safari Pet Styptic Powder quickly stops bleeding caused by nail trimming or minor cuts. Generously apply to nail quick or affected area using a clean, moistened applicator such as a cotton swab or gauze. Apply moderate pressure until bleeding stops. Keep out of reach of children. For external use only. Do no use on open wounds, burns or in body cavities. 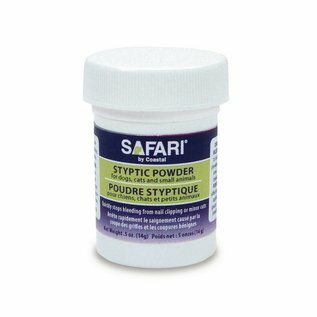 Keep container tightly sealed when not in use.